Dehydration isn’t a bad thing! You’ve seen the ads for sports drinks, and even those for fruit flavored electrolyte replacement drinks marketed to children’s parents. Dehydration, the loss of water takes the blame for many things, including confusion and irritability. But eating dehydrated food won’t make you dizzy or cranky! You’ll discover a whole new world of eating possibilities when you realize you don’t need to wait for next Thanksgiving to eat cranberries again. 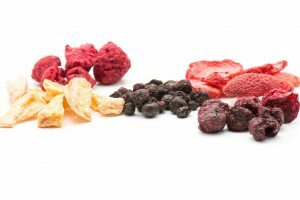 And, dried bananas aren’t the only fruit you can put in your trail mix! 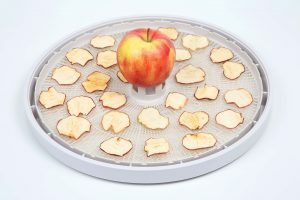 We’ve put together a mini-guide designed for those who aren’t sure how to dehydrate food. We’d love for you to read it. 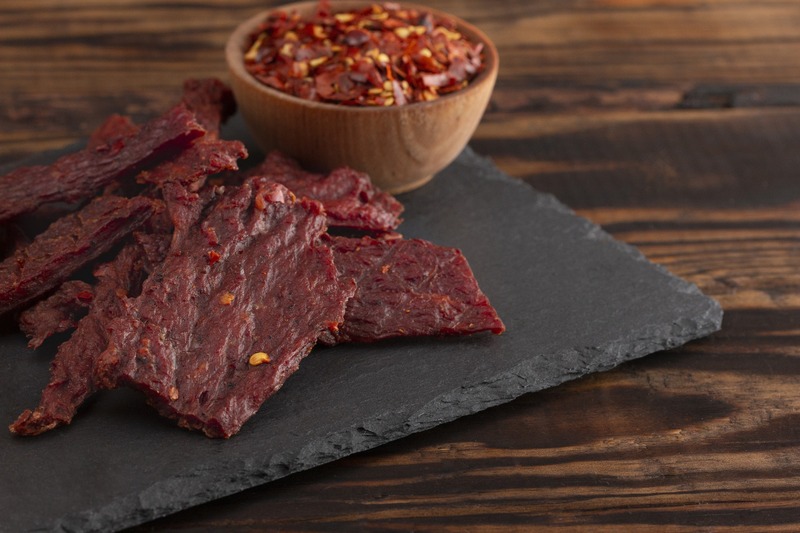 It might even inspire you to stock up on cranberries or try a new jerky recipe! Dehydration is a scientific term and involves a scientific process. The human body has a love/hate relationship with it. Your body hates how it feels when it’s dehydrated but loves the idea of dehydration because it means a ready food supply. In simple terms, dehydration is the process of removing water from a food product. The end goal is food preservation. Even more important is the ability it gives you to inhibit the growth of bad bugs or microorganisms. 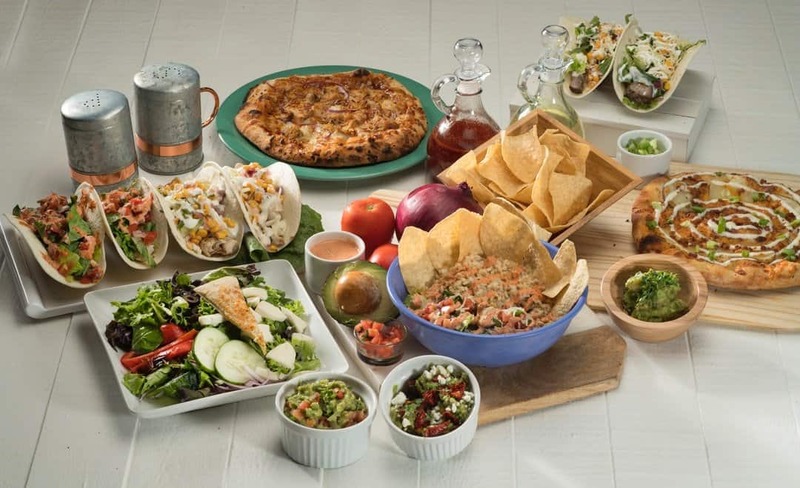 Your reward is an ample supply of tasty food without worrying about eating mold or bacteria. Removing moisture from foods makes them smaller and lighter. 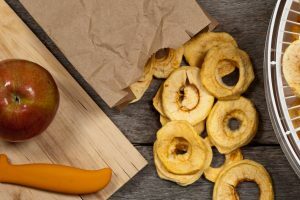 Dehydrated foods are ideal for backpacking, hiking, and camping because they weigh much less than their non-dried counterparts and do not require refrigeration. Drying food is also a way of preserving seasonal foods for later use. Food dehydration is an ancient practice probably used by prehistoric people as a way to dry seeds using the solar dehydration method. Thankfully modern man can preserve food faster and safer with a dehydrator. The process is simple yet fascinating. 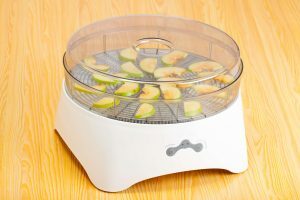 A food dehydrator uses a heating element, fans, and vents. Using a banana as an example, the heating element warms the banana slices, which releases moisture from the inside of each slice. 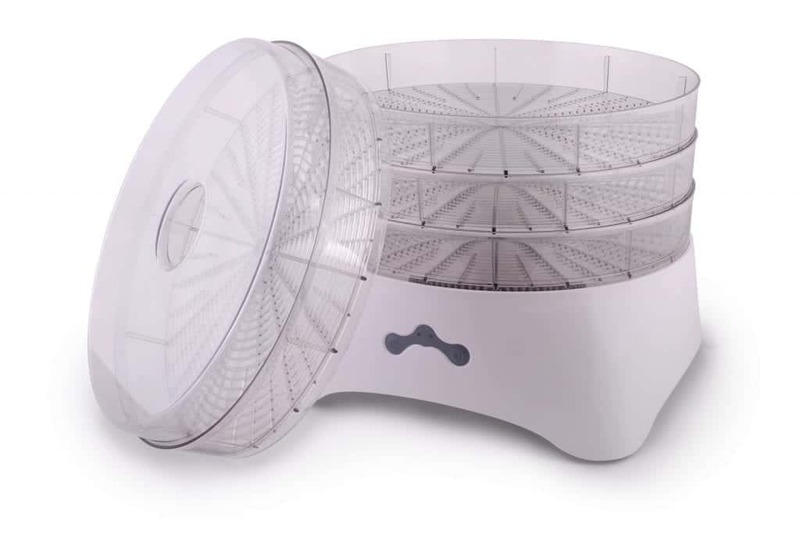 The dehydrator has a fan, which pushes the moist air out of the dehydrator through air vents. Our banana should take about 6-8 hours but each type of food has its own dehydration time-table. At the end of the dehydration process, your food should have less than 20% of the water content you started with. 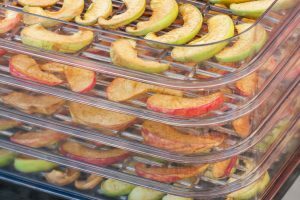 Do You Know How to Dehydrate Food? Use only ripe fruits and vegetables (we’ll talk about other dehydratable foods in a minute). Prep fruits and vegetables with a cold water wash. There’s nothing worse than biting into a banana chip and eating a clump of dirt. Get rid of bruises and fibrous spots. For example, the core of an apple isn’t edible when it’s fresh and even worse when it’s dehydrated. Goodbye seeds, pits, and stems. Bananas don’t need to be blanched but some fruits and vegetables do. Blanching is the process of dunking food in boiling water and then plunging it into ice cold water. Blanching is a wonderful thing because it prevents flavor loss, brightens the food’s color, and helps slow down vitamin loss. Dipping fruit is another pretreatment, which prevents fruits from turning brown. Bananas do love a dip. You can use a mixture of ascorbic acid crystals and water or dip in fruit juice. 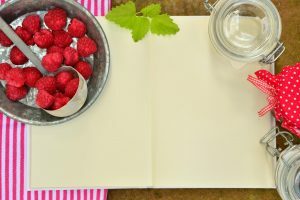 You must have these 3 things to get edible food at the end of the dehydration process. Heat – should not be hotter than 140°F – we’re just releasing moisture not cooking. Dry air – the released moisture needs a place to go, right? Air movement – the moisture must go away or we’ve defeated the purpose. See how easy it is? 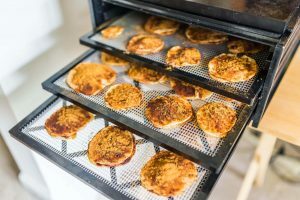 Using an electric food dehydrator is the fastest, safest, and most economical way to dehydrate food. Bananas and apricots are the go-to foods most people start with when they’re learning how to dehydrate food. Strawberries, peaches, and apples are popular too. But what about cantaloupe? Yes, it’s a thing! People who dehydrate cantaloupe say it tastes like candy and melts in your mouth. Fruits and dehydration go great together but don’t forget about veggies! Don’t let your tomato harvest go to waste. Tomatoes are one of the easiest foods to dehydrate and you can use every part of them except the stems. Say “hello” to tomato powder. Since the holiday season is here, don’t forget cranberries. Cranberries show up once a year in most parts of the country. Get them while you can and dehydrate several bags. 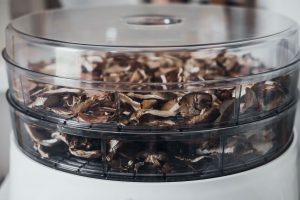 Choosing foods compatible with a food dehydrator isn’t difficult. Most fruits and vegetables work well. But why not learn to dehydrate meat? Create jerky! No more wondering what to do with your venison and elk from this year’s hunting season. Learning new skills is always fun, especially when you create something tasty and healthy. 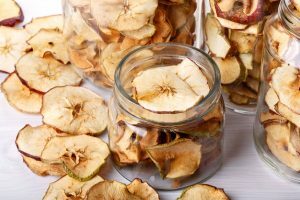 Learning how to dehydrate food should be on your list of things to do this year. 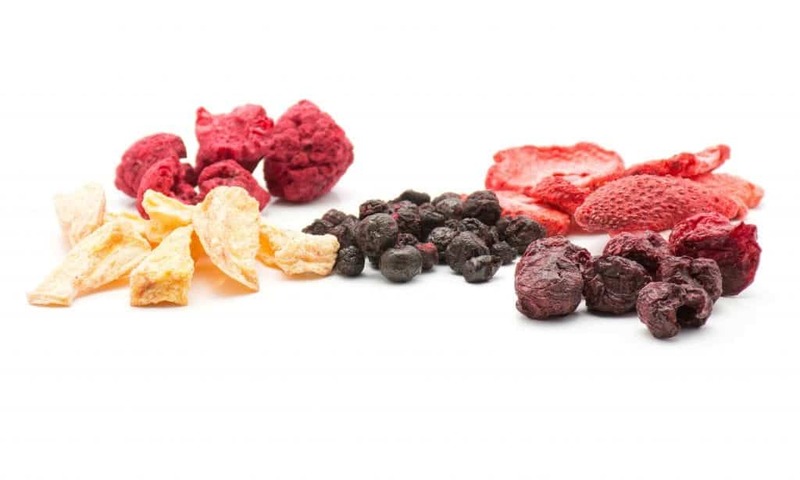 Dehydrated Foods has everything you need to get started. Visit us today for the best selection of food dehydration tools and tips!